The views from these gorgeous waterfalls really make a splash. A new season calls for a new list of Colorado adventures! Take a hike out to one of these five waterfalls and you'll be treated to breathtaking scenery and long-lasting memories. Head into the mountains for this first waterfall, and experience a scene that's completely magical. 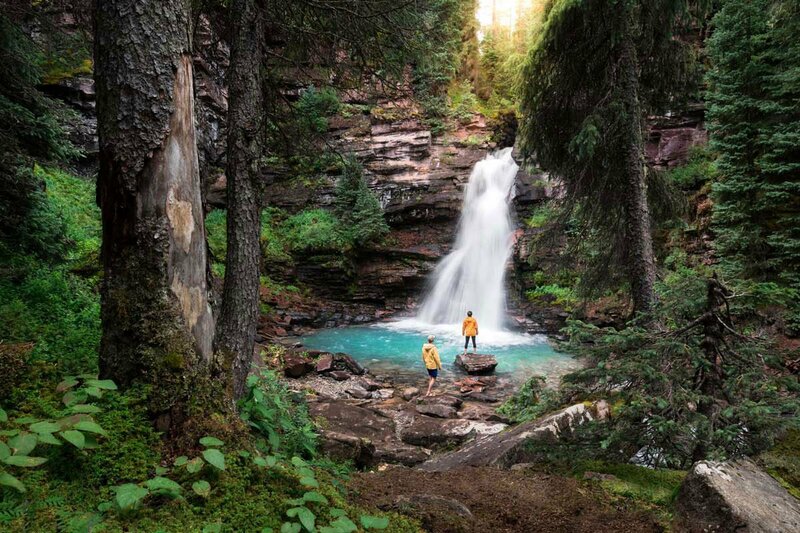 Located about 20 minutes from the town of Telluride, you'll take a two-mile-long hike to uncover this hidden gem. As one of Colorado's best-kept secrets, Mystic Falls is a hiker's dream come true. This roaring waterfall is one of the most impressive in the state. Not really a place to go hiking, but it's a great location to have a picnic! Sit back, relax, and take in the sight of these beautiful falls. The Overlook facility is located on the Silverthread Scenic Byway, along state highway 149. This waterfall features bright blue waters surrounded by an emerald green forest (as you can see in our main photo). This destination is a photographer's dream, so make sure you bring your camera! There's no marked trail to get to this waterfall, but you can follow detailed directions to it here. This 3.5-mile hike out of a backcountry trail will lead you to a waterfall packed with rocks, brush, and logs. It looks like it popped out of a painting, and is another favorite amongst Colorado photographers. This will definitely be a day trip worth taking! Rifle Falls State Park has such lush greenery that it feels like you've just stepped onto the set of Jurassic Park. While the park is widely known as a great spot to see the waterfalls frozen over during the winter months, it also stuns visitors when it's sunny and warm. Can you guess where this waterfall is on first glance? Hashtags for answer. #riflefalls #riflecolorado #waterfall #waterfalls #falls #water #adventure #hiking #nature #hiking #mystical #otherworldly #colorado #westernslope #coloradoshared #coloradocreative #westbysouthwest #landscapephotography #photography #photo #photooftheday #picoftheday #nikond5300 Sidenote: Doing a little rebranding today. As I realize I have a decent amount of portraits I'd like to share, I've decided to add a separate account @js_portraitsandpeople to keep the mission of this account more streamlined. Thanks for following! Which of the above waterfalls are you adding to your summer bucket list? Have you already visited any of them? Let us know in the comments! Go back in time at Mesa Verde National Park!